We discovered Postkutsch Restaurant recently as we were looking for some fancy places to have dinner a bit off the city chaos. At the same time, as I totally avoid driving if I plan to drink even a glass of wine and I am not keen travelling with someone that did (I am sorry, démodé, maybe, but I really do care about my safety), so Postkutsch appeared as the best solution, as it is located just 5 minutes off Esch/Alzette station and trains from and to Luxembourg are running until 1.20 am – luckily enough we live at a walking distance from the Gare. As said, after a first amazing experience, we decided to come back with my sister and her fiancée. Be careful, you need to book a bit in advance for week ends: we placed our reservation three weeks earlier in order to secure our place, as it was the only night we were all available. The internal décor of the restaurant appears to be coming from another age: a bit old-fashioned, maybe, but I love to be projected in this 20s atmosphere, with big round tables, mirrors, candles. As client, indeed, you are not feeling obliged to dress up – as in many same-style restaurant in the city center – and this makes us feel even better. A simple shirt and jeans for men is enough for enjoying an agreeable dinner. Coming to the food, the restaurant as a formula called Temptation, with a fixed menu and some in-the-middle choices (starters, main, sorbet or cheese). The price is really affordable, 48 Euro, for the quantity and above all the quality of the food received. As “amuse-bouche” we received a cappuccino of mushrooms with truffle and a mousse of ham. Both of them really tasty. Following, I opted as started for an Hamburger from the Sea, a very structured dish that was served with a mousse of ketchup (yummy!) and avocado. 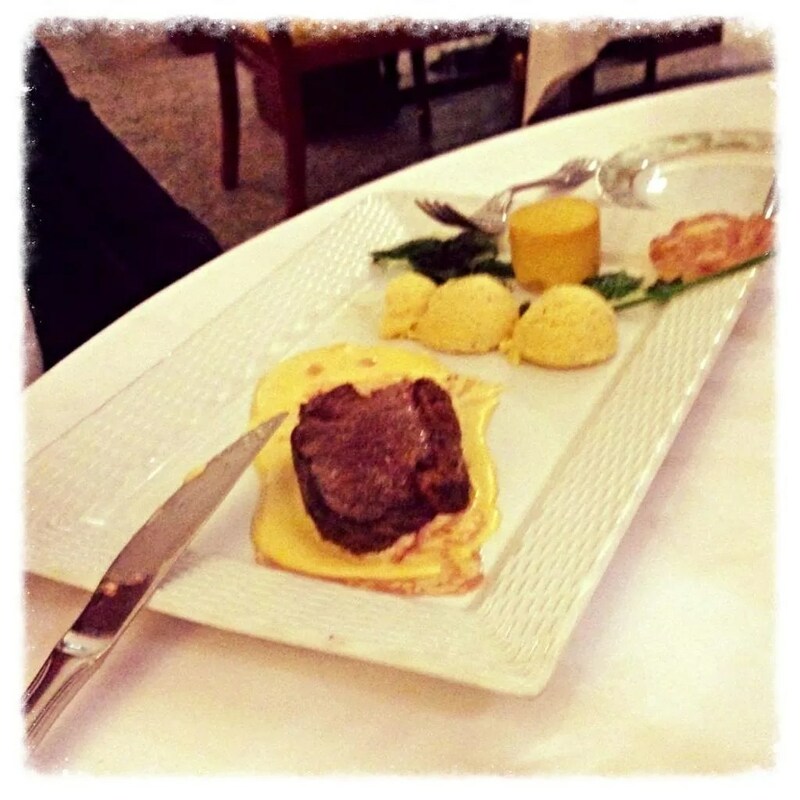 It was a great start, my husband only did not really enjoy his dish – roe deer terrine – saying it was too gummy and fat. The next dish for me, main course, was Saint Pierre fish, cooked with meat jus and potato gallette. Also this dish was great, as it was a perfect combination between the sea taste and the aroma of truffle with the jus. My sister had the same, while her fiancée took a kind of saltimbocca and my husband the picanha. Everyone loves his dish. 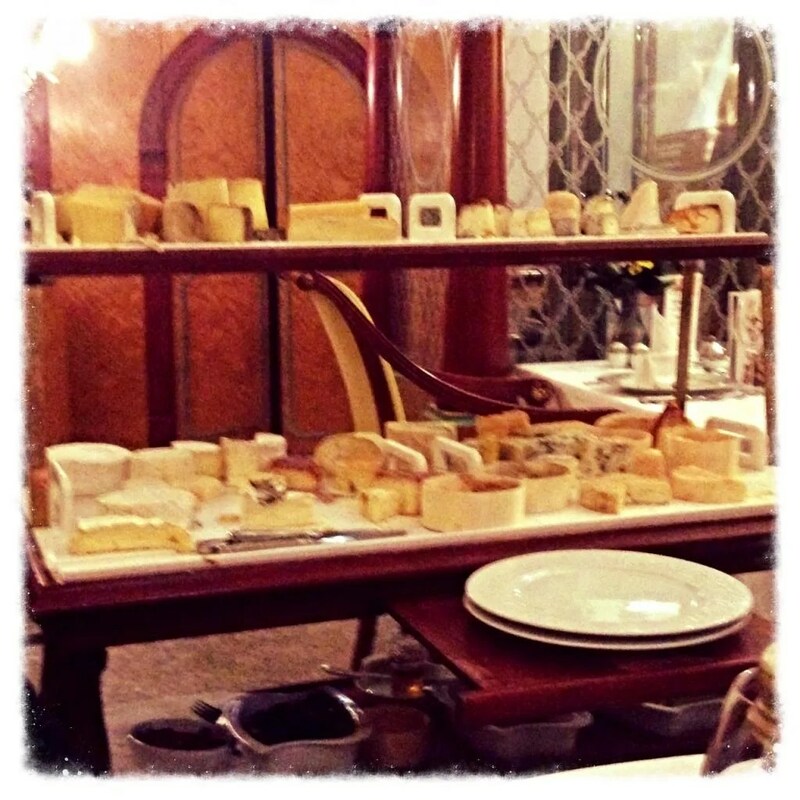 Next step was the chariot of cheese, that is always an extremely interesting adventure for me – I love cheese! I took three strong softy cheese and I really enjoy them – the Calvados Camembert was one of my favorite. At this point we were already pretty full and our train was about to leave. We had the dessert, composed by a combination of tree small dishes, and the coffee, accompanied by chestnuts mousse and some sweets. I was not even able to finish my dessert, as it was really a lot to eat, but everything was perfect. As drinking, they have as well some standard formulas that include aperitif – several choices of “maison” cocktails – wine through the dinner and coffee. Being Saturday, we had to opt for the formula for 37 euro each – while during the week you have as well the one for 22 euro – and it was a great combination. I started with a vodka strawberry cocktail – normally strawberry cocktail are always a bit too sweet but this was not the case, it was balanced and flavorful. I continued with a Pinot Blanc for the starter and another white mineral wine, a Viognier, with the rest of the dinner. My husband and my sister’s fiancée had red with the main. Once again, it was a really nice experience, next time we will only try to arrive a bit earlier – we were there a quarter to nine – in order to relax a bit at the beginning and avoid the rush between aperitif and starters. 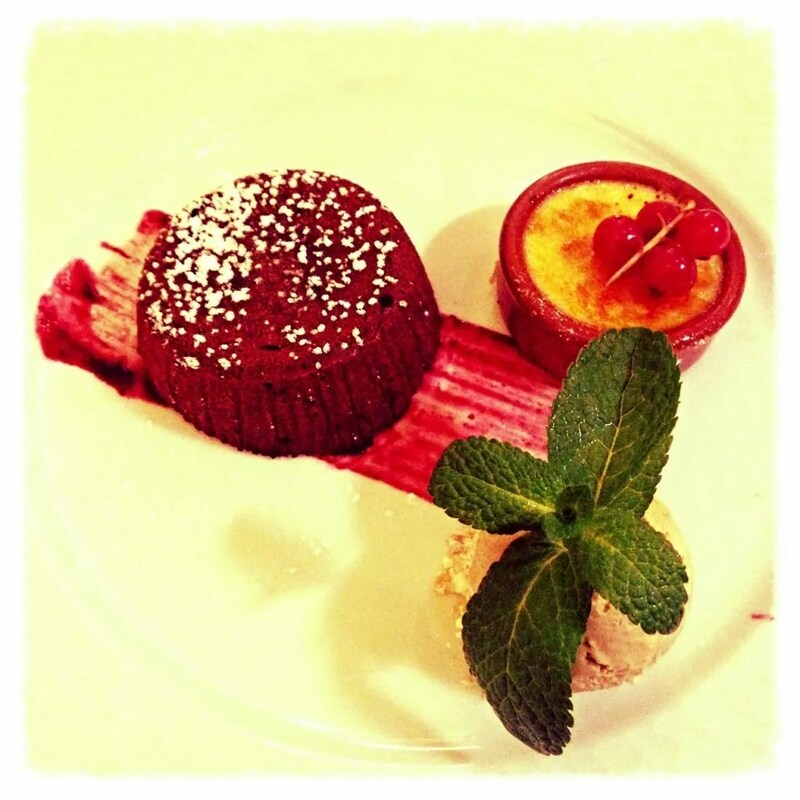 Postkutsch is the perfect place if you love French cuisine but you don’t want to squander, you will get spoiled there by all the treaties they propose and it is perfect for family celebrations. It’s one of the ‘poshest’ restaurants in Esch; I’ve been only once and I remember that they were offering a couple of menu combinations but it was a bit difficult to follow. I hope that they have changed that by now. But yes, the food and the interior are really worth a visit.